This week we got the foundation installed, the damp-proofing and insulation in place, the footing drains installed, and the sub-slab rough plumbing placed. We’re now ready for the lower-level slab to be poured (with the hydronic tubing for heat installed within the slab). 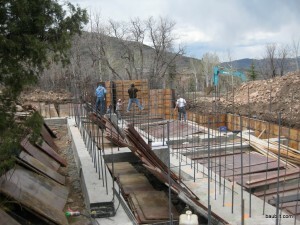 Here are the photos of the foundation and related steps. 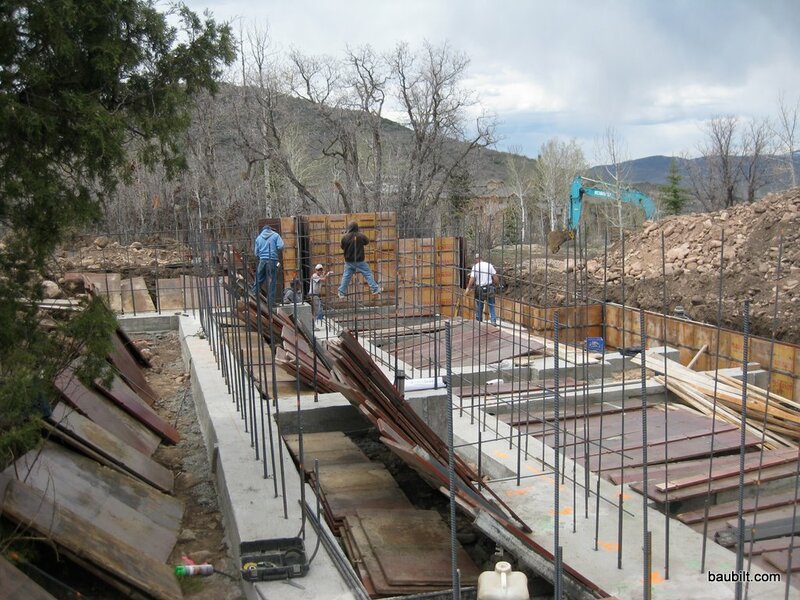 There's a lot of steel rebar in a foundation. The first step is to tie the bar, using a power stapler-like tool.